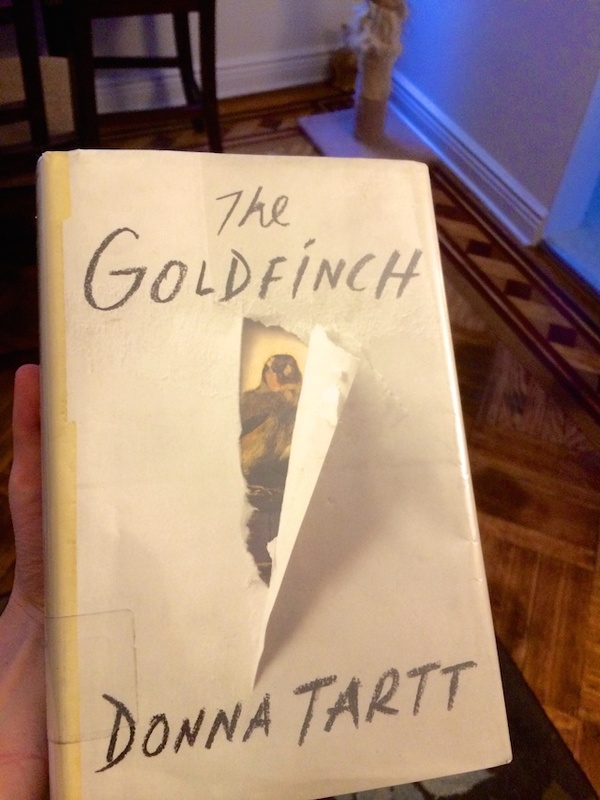 Cruising down my To Read list of critically acclaimed 2013 novels, I recently reserved The Goldfinch at the library. The waiting list was a bazillion people long so I thought I’d have to wait a few months for it to come in. Not so! I only waited a few weeks. The public library and I used to be BFFs while I was growing up. My dad would take me after school or on the weekends and I would come home with a stack of 10 books or more. However, I fell out of the habit of using the library in past few years. I accumulated a huge book collection, consisting mostly of used books found at yard sales or library sales. Whenever I need something to read, I usually just look to my bookshelf. However, newer books are hard to find at book sales. In The Goldfinch’s case, the paperback isn’t even out yet so I’d be stuck buying the full price for a hardcover. This is where the library comes in handy. Folks – use your library! 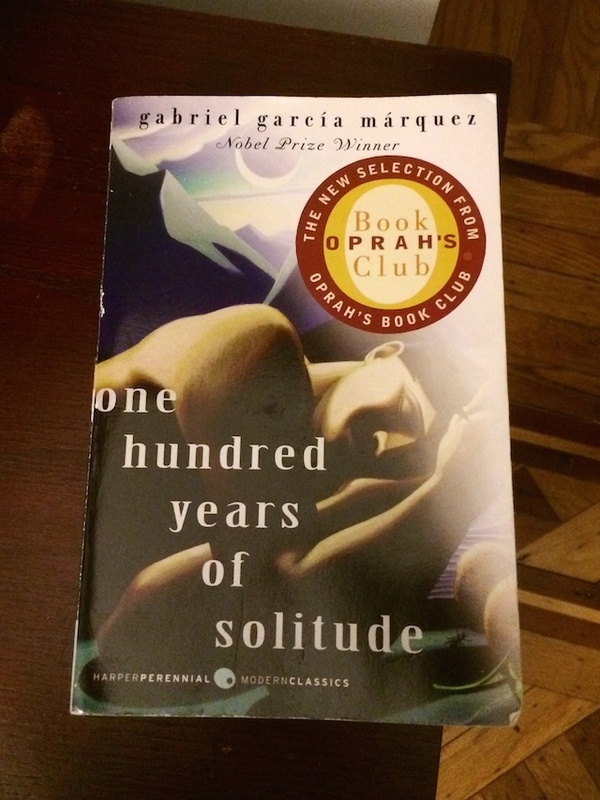 Although I can’t wait to start digging into The Goldfinch, I made a promise to myself that I would finally read 100 Years of Solitude. Gabriel García Márquez passed away last month and I thought – the time is now! I’ve had this book on my shelf for years. I’m about 100 pages in and I see why it’s a classic. It’s a sweeping tale of a small village and its inhabitants through time and trials. But it’s pretty slow-going. There are large paragraphs of text and not much dialogue. And you have to pay attention because big things happen in the middle of these long paragraphs when you least expect it. I know I’ll finish it but I think it will take longer than usual. What books have you had trouble getting through? Was it worth it in the end?